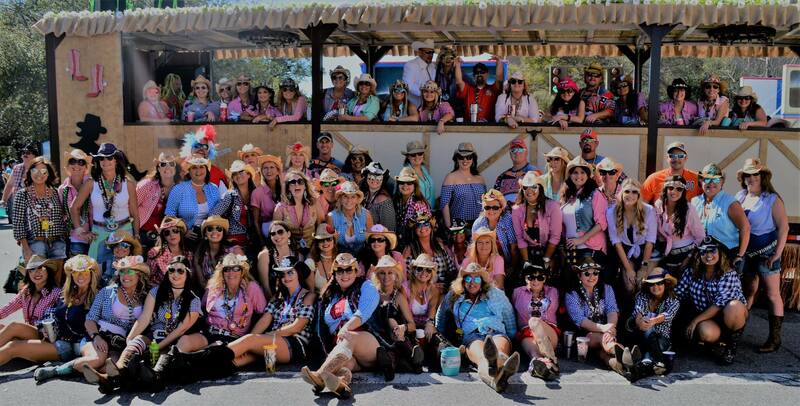 Krewe of Daisy Dukes | Cowgirl Up! The Krewe of Daisy Dukes was formed in 2005 by a group of like-minded women wanting to promote unity and friendship through various krewe activities, functions and community services. The Krewe consists of a diverse group of dedicated and ambitious women from our community as well as one selected man known as the “Boss Hogg”. Mardi Gras Grand Parade in Downtown Pensacola, The Krewe of Wrecks Parade on Pensacola Beach, the Fiesta of Five Flags Parade to celebrate the founding of Pensacola in 1559 and the Pensacola Christmas Parade.